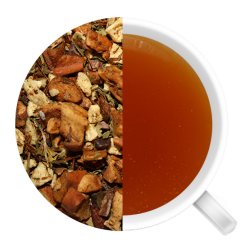 This mellow and fruity combination is a smooth, comforting blend of hibiscus, rooibos, sweet vanilla and a touch of chocolate. 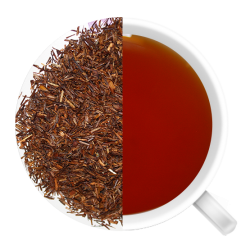 Also known as red tea, rooibos contains exceptionally high levels of antioxidants and anti-aging properties and is said to suppress fasting glucose levels. 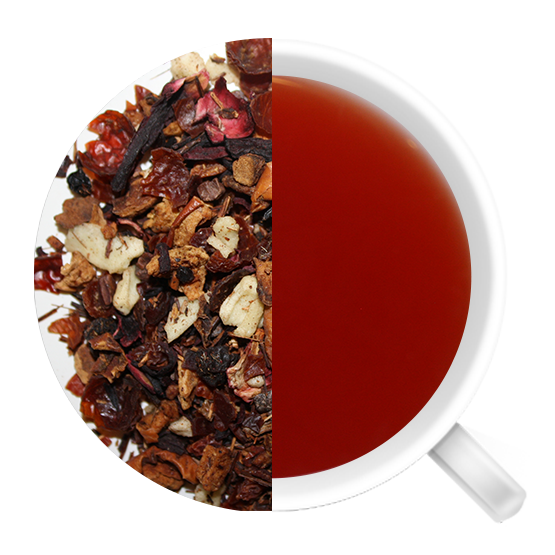 With a mix of hibiscus and rooibos, this tea may help in reducing blood pressure for those with mild to moderate hypertension. 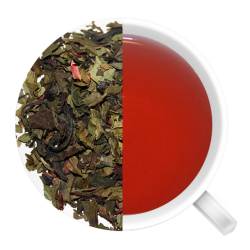 Schizandra berries, also found in this tea, have an adaptogenic quality, they can restore energy balance to the body and reduce fatigue. Hibiscus Vanilla Delight is an excellent alternative to dessert. Great when served hot or iced. 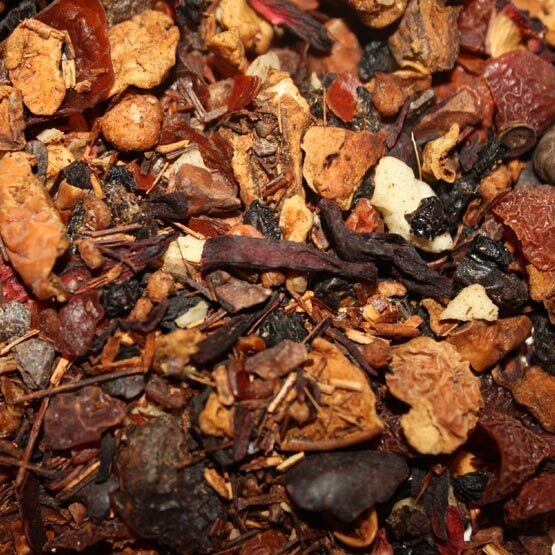 Ingredients: 100% organic rosehips, 100% organic hibiscus, rooibos, dried apple pieces, vanilla chips, 100% organic schizandra berry, chocolate, natural vanilla and berry flavor, and pure essential oil of orange and mango. 50g makes 50 cups (based on 3g per 8oz of water, infused 3 times). Temperature: 212 degrees F, Infusing time: 2-4 minutes.